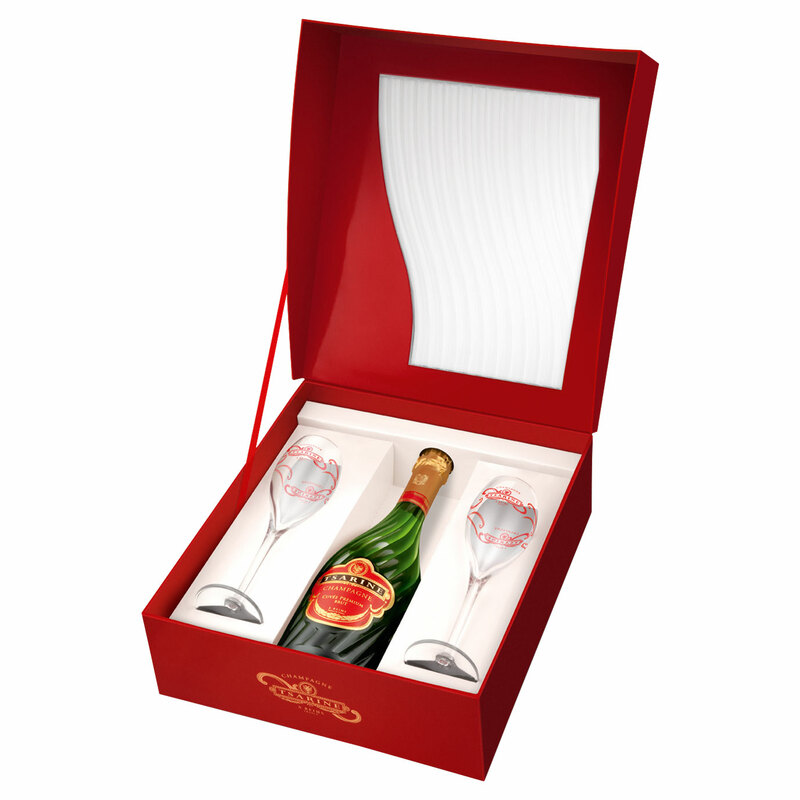 Tsarine is a Russian themed Champagne in this gift set we have 2 branded champagne flutes packed inside a fluted red Russian style presentation box. This is ideal as a gift for a couple or for a birthday. In the mouth new with a rich fresh sharpness. Medium body. Prevailing notes of citrus organic products consolidate with white peach and raisin. Long length with a clean invigorating get done with demonstrating indications of red berry natural product.